We’re working on Irrigation repair in the rose area and grape arbor area. Rex noticed some browning in the roses next to the parking lot, so he and Doan (and anybody else who can help with the irrigation lines) will work on that. Also the grape arbor area may need some spaghetti tubing added or revised. That area is as dry as a bone. Loren and Simon are going to check on the watering to that area.Plant identification. This project is going very slowly. Hopefully a lot more plants will have popped up and we’ll be able to identify easier. 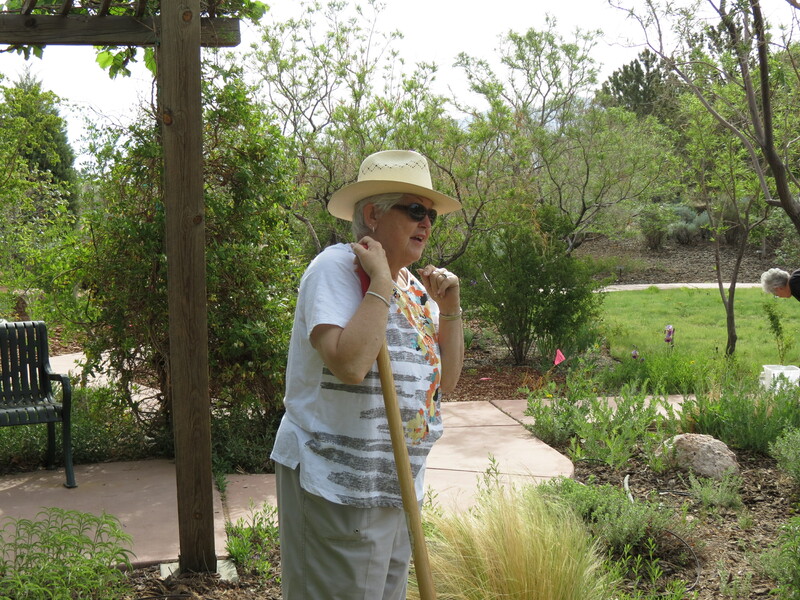 Please – any of you who know your Guara from your Gaillardia, come and help us! And bring any books you can with you, since we’ll need to look things up.Pruning….. 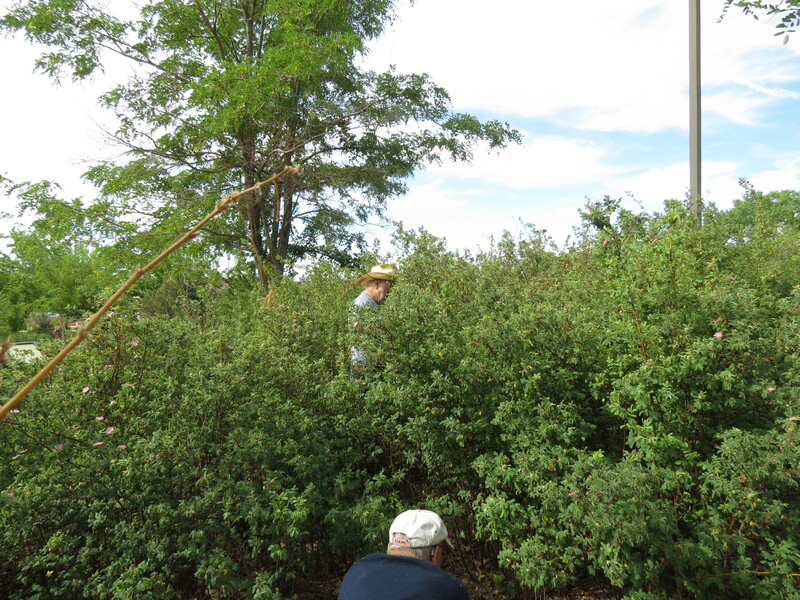 There is quite a bit of minor pruning that needs doing…….. cutting new shoots off desert willows, small branches, etc. Lisa, could you forward this to any Tree Stewards who might be able to help out? Bring pruners and gloves if you can. Weed pulling. 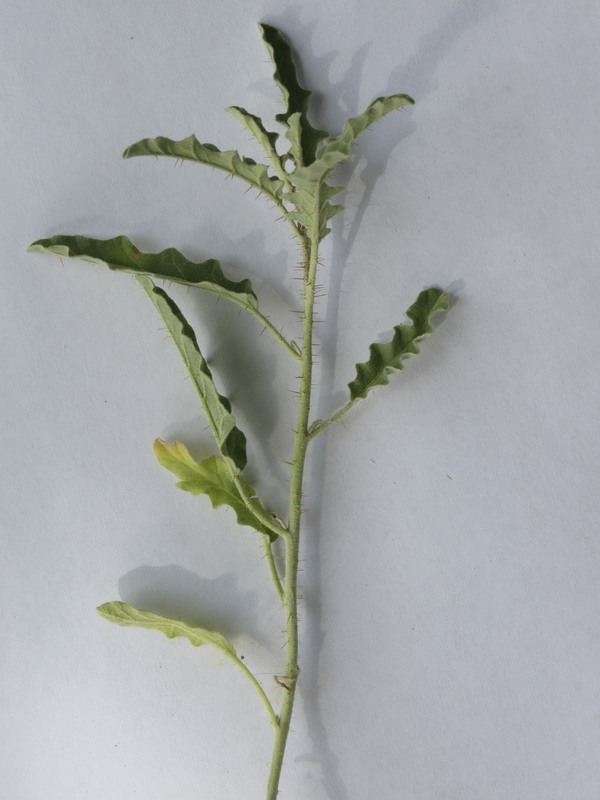 Since our last Special Project workday will be next week on 5/23, I’m planning on sending photos of the weeds to Dr. Ashigh for identification. I was at the garden this weekend, and it looks like we’ll have LOTS of weeds to show him. Anybody who can help pull weeds, please bring one of those weeding tools if you have one. Transplanting….. There are lots of Roses that are appearing where they shouldn’t be. We need to dig them up and move them. Most likely there will be a lot of extras, so if you want some of those beautiful roses (the ones by the library fence), bring your shovel and a bucket to take them home.